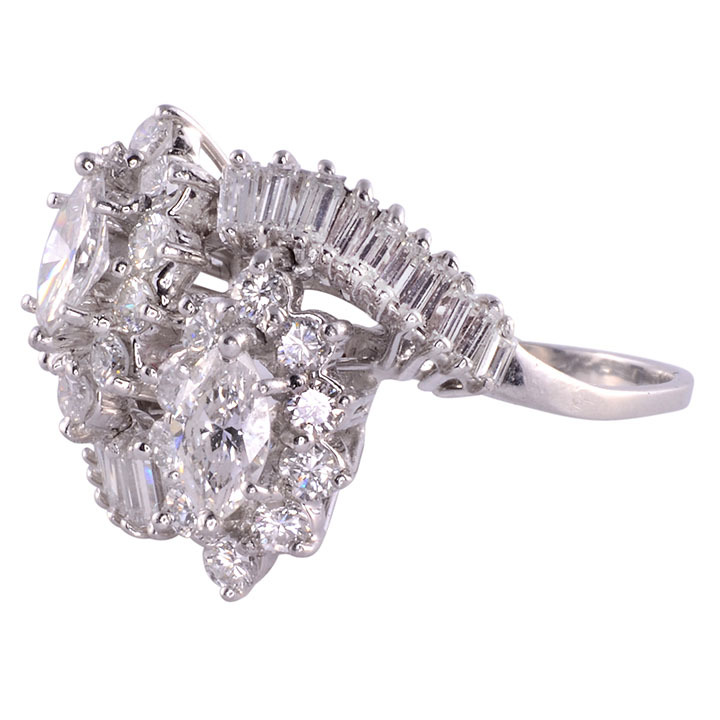 Vintage marquise diamond bypass platinum ring, circa 1950. 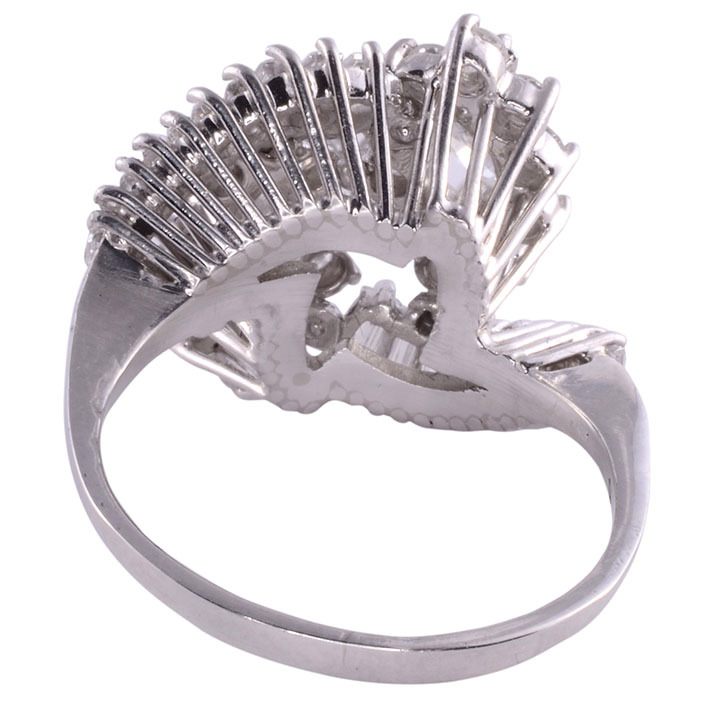 This platinum diamond ring is in the bypass style. 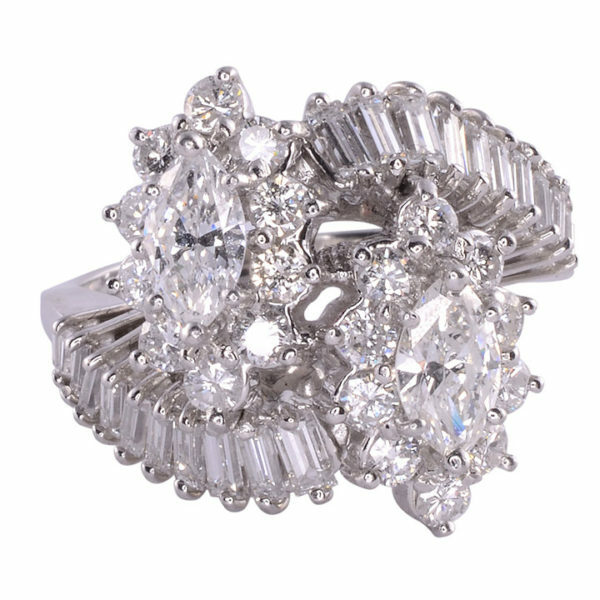 The ring features 2.0 carat total weight of diamonds including two marquise diamonds at .50 carat each, along with baguette and round brilliant diamonds. All diamonds have VS1-SI1 clarity and G-H color. Size 5.5.